Key note: The story of how a small village community with the help for their Member of Parliament took on the commercial giants behind a controversial wind farm application. In February 2008 the energy company Eon announced that it wanted to build a massive wind farm near the charming rural villages of Kelmarsh, Maidwell and Naseby in Northamptonshire. The wind farm would introduce the very real threat of health issues to local residents, destroy the scenic setting of several very important Grade 1 listed historic buildings and destroy the pristine views across the battlefield of Naseby where Oliver Cromwell crushed the army of King Charles I in 1645. Local residents opposed the plans and succeeded in persuading Daventry Council to refuse planning permission for the wind farm. This decision was overturned on appeal by a government inspector and permission was given in 2012. In this book the local MP, Chris Heaton-Harris, explains what happened, why it happened and why it must not be allowed to happen again. Chris lives in Pitsford, in the Constituency of Daventry which he represents in the UK Parliament. He became Prospective Parliamentary Candidate for Daventry back in June 2006 and was elected as Member of Parliament for Daventry in the May 2010 General Election. As MP he has been involved and led many local campaigns. 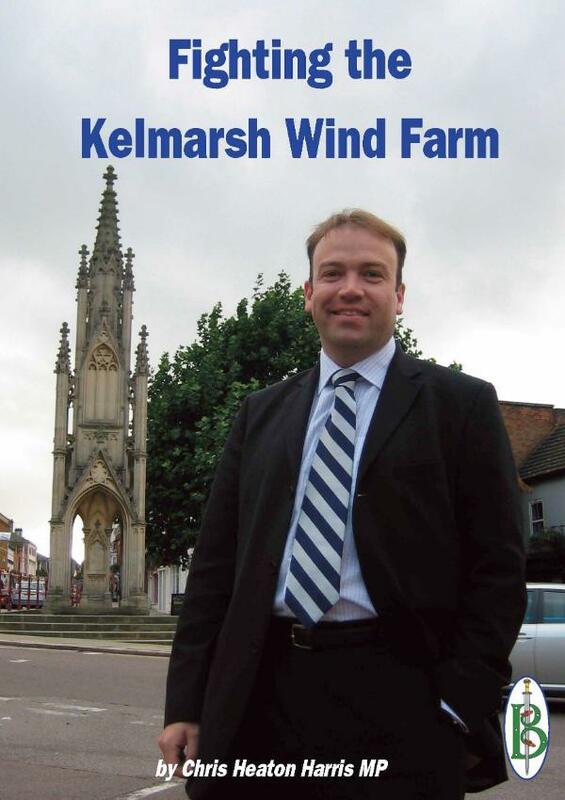 Has helped many anti-wind farm campaigns organize and find their voice and also been involved with the campaign against unwanted development based on plans issued by the “Joint Planning Unit” – a quango he looks forward to getting rid of. Chris is an advocate of smaller government and responsible public spending. A fierce Eurosceptic, he hopes his experience in Brussels will be useful to any future Conservative government. He was one of the authors of "Direct Democracy" and is a passionate "localist". He currently sits on two Select Committees in the House of Commons: the Public Accounts Committee and the European Scrutiny Committee.